HASC 23: Avremel and Lipa! 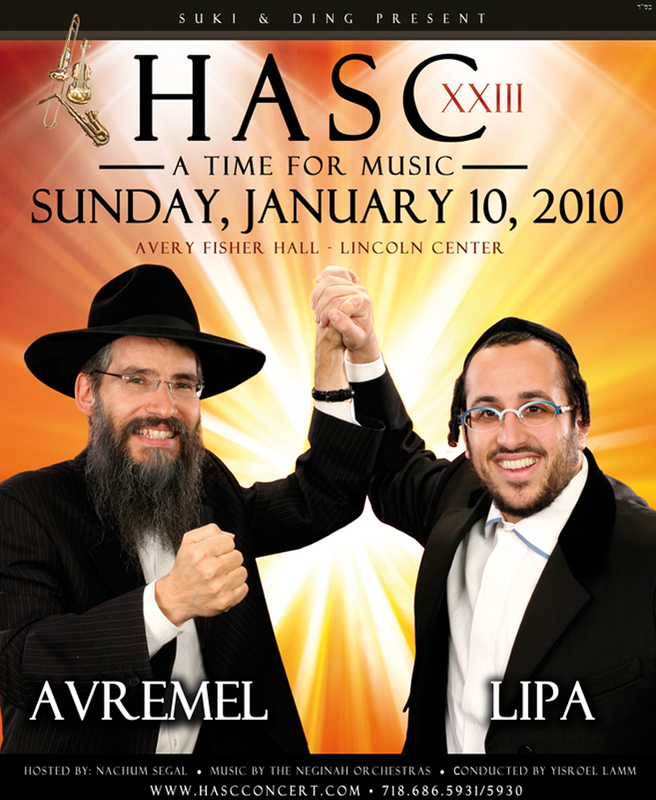 HASC’s 23rd Annual “A Time For Music”, the longest running Jewish concert series, is planned for January 10th, 2009. This years concert will feature Avraham Fried and Lipa Schmeltzer. The show will be hosted by Nachum Segal, music by the Neginah Orchestras and conducted by Yisroel Lamm, for more information go to www.hascconcert.com and for tickets call 718.686.5931/5930. We will have more updates and exclusive coverage as the concert draws nearer.